Wix is one of the most popular website builders, and it’s easy to see why: it’s famously easy to build and customize a beautiful website with Wix, and there are lots of great add-on products like Wix Restaurants, Wix ShoutOut, and more. We’ve compiled some tips to help you get the most out of the Wix platform and ensure your site’s as high-performing as it can be. Whether you’re using Loxi or not, and whether you’re a Wix veteran or have just started tinkering with it, these tips will help take your site to the next level! 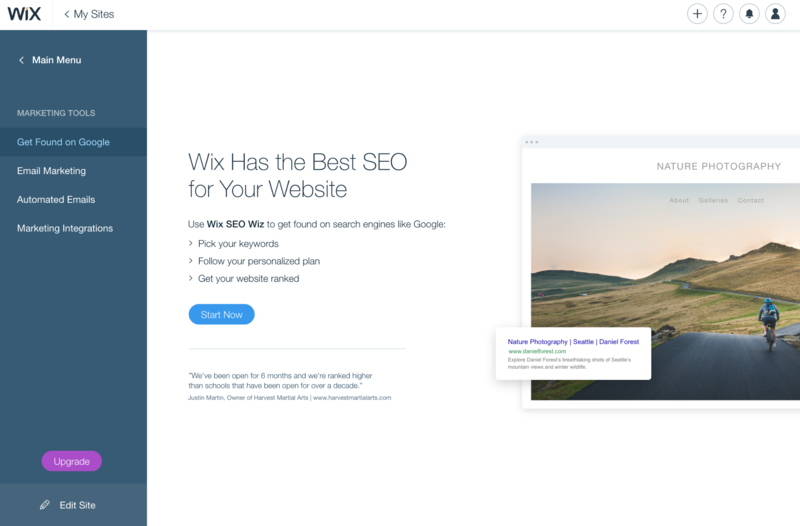 Wix has two SEO guides on their customer support website: a “Basic” guide that covers general principles and best practices for improving your site’s search engine rankings, and an “Advanced” guide that gets into a number of Wix-specific ways to optimize your site. It’s worth reading both guides and following the best practices they recommend—doing so will create long-lasting improvements to your SEO and get your Wix site to rank higher in search results. Wix has many platform-specific ways of boosting your site’s SEO. Strips are a foundational design element in the Wix site builder, and you’ve probably used them a bit if you’ve already got a Wix site. But are you aware that they can be used to make your site look better in mobile devices? Wix offers a Mobile Editor for mobile-specific views—but even if you have a great mobile site, it doesn’t necessarily mean your site will look great on intermediary-sized devices like tablets or small laptops. So when it comes to ensuring your content looks great on all devices, in addition to using the Mobile Editor (more on that below), you may want to use full-width “Classic Strips”. Full-width Strips adapt well to all screen sizes, and the content within them adjusts accordingly. Classic Strips are especially great to use because they’re so customizable, but if any pre-designed strips work well for you, use those! Classic Strips in the Wix editor. Loxi calendars look great in full-width Strips, since Loxi calendars are designed to adapt to all screen sizes. They’ll look great on mobile devices and big screens alike, and using full-width Strips helps preserve that awesomeness. Learn more about using strips on the the Wix support article on responsive design. Using full-width Strips where possible, as mentioned above, will help a lot with making your site mobile-friendly. 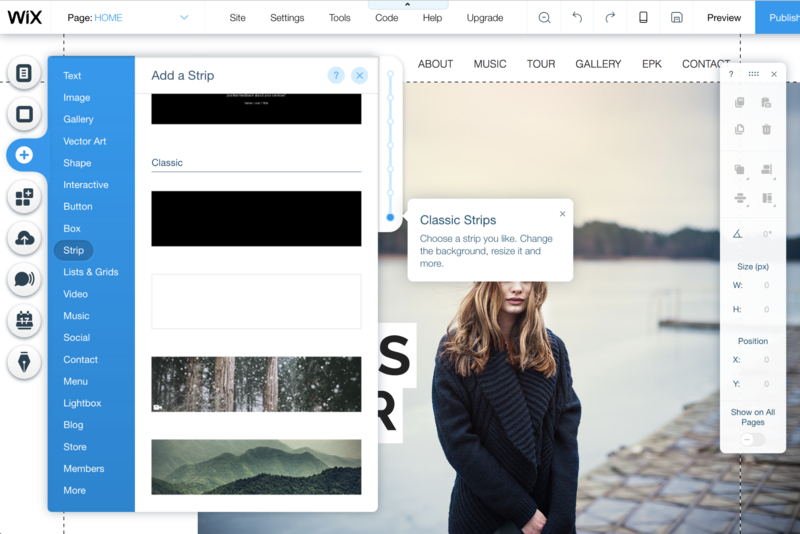 But you can go one step further: Wix offers a powerful Mobile Editor that lets you build a custom mobile version of your site. This is basically essential to do, since the web is now accessed more often via smartphones than desktop computers. The good news is that, in typical Wix fashion, it’s easy to do! All you have to do is enable a Mobile View for your site. Then you can use the Mobile Editor to tweak this auto-generated Mobile View and iron out any inconsistencies between it and your site’s desktop version. Google Analytics is free, but you’ll need a premium Wix plan to fully enable it on your site. Trust us, it’s worth it! Google Analytics offers unparalleled insights into how many users are visiting your site and how they behave once on your site: what pages they visit, how much time they spend on different kinds of content, what websites referred them to your site, and more. Wix provides great documentation on how to set up Google Analytics. In fact, they have an entire catalog of articles on marketing analytics, which you’ll definitely want to bookmark and explore in depth. An email list is one of the most indispensable marketing tools you can have, and you can leverage your Loxi calendar to increase the number of subscribers on the list. If you embed the Loxi calendar on your Wix site, you can then use Wix Get Subscribers—a free, official Wix app available in their app marketplace—to add an email newsletter signup form to the page. The calendar page is an excellent location for this signup form because you can urge folks to sign up so they won’t miss news about future events or important updates about existing ones. Wix is a fantastic platform for building websites of all kinds. Using even just one or two of these tips will help you get more value out of your Wix site, and if having a robust events calendar is important to your website, then our final tip is—of course—to use Loxi. You can try Loxi free today and see just how easy it is to build a beautiful calendar that looks great and works well on all devices.